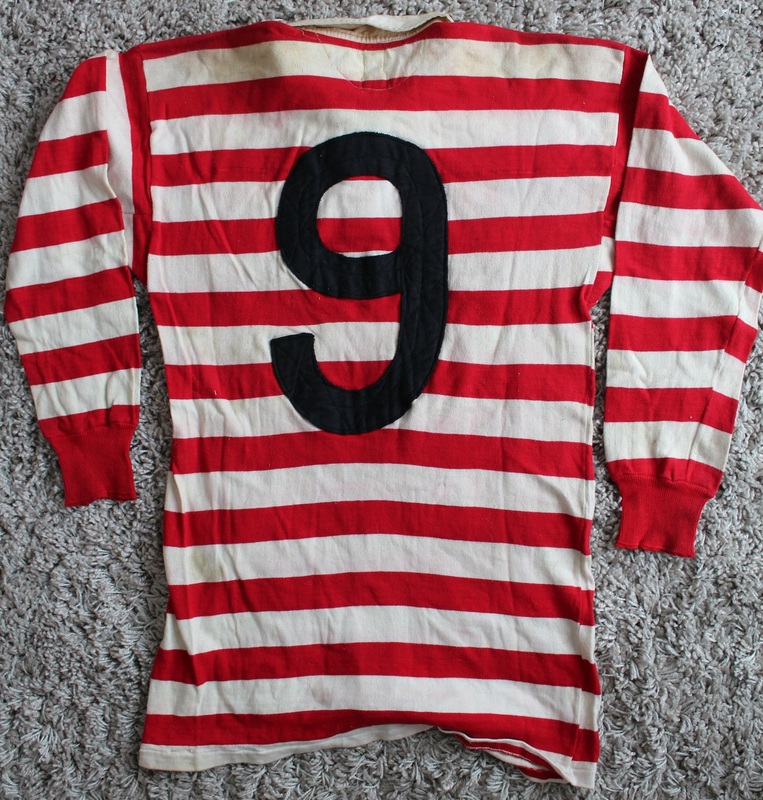 The Rugby Memorabilia Society had the honour of helping Bryn Meredith (former Welsh International & British Lion) sell part of his vast collection of memorabilia he had amassed during his playing days over a series of auctions in 2016. 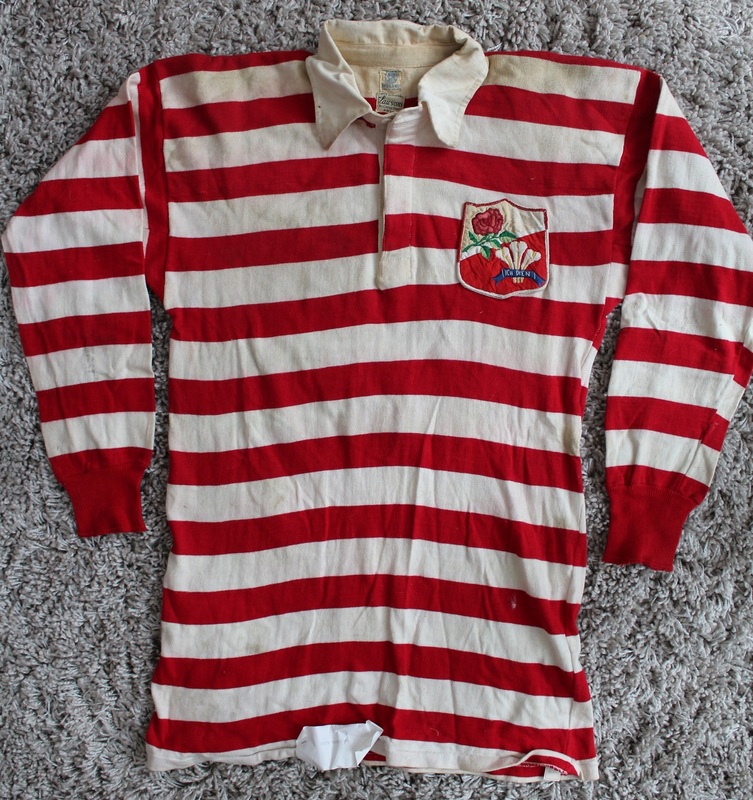 Included in the July 2016 sale was this stunning combined England-Wales Jersey from the match played on 31st December 1955 at Lansdowne Road against a combined Scotland & Ireland side. The match was played to mark the opening of the new stand. England and Wales (3G, 1 PG)—18 points. R. W. T. Chisholm (Melrose, Scotland); A. R. Smith (Cambridge University, Scotland), A. J. F. O'Reilly (Old Belvedere, Ireland), A. C. Pedlow (Queen's University, Belfast, Ireland), J. S. Swan (Coventry, Scotland); J. W. Kyle (N.I.F.C, Ireland, Captain), A. F. Dorward (Gala, Scotland); H. F. McLeod (Hawick, Scotland), R. Roe (Richmond, Ireland), P. J. O'Donoghue (Bective Rangers, Ireland), J. R. Brady (C.I.Y.M.S., Ireland), P. J. Lawlor (Clontarf, Ireland), J. T. Greenwood (Dunfermline, Scotland), T. E. Reid (London Irish, Ireland), A. Robson (Hawick, Scotland). Scorers - Tries by O'Reilly (2), Greenwood and Smith who also kicked a penalty goal. 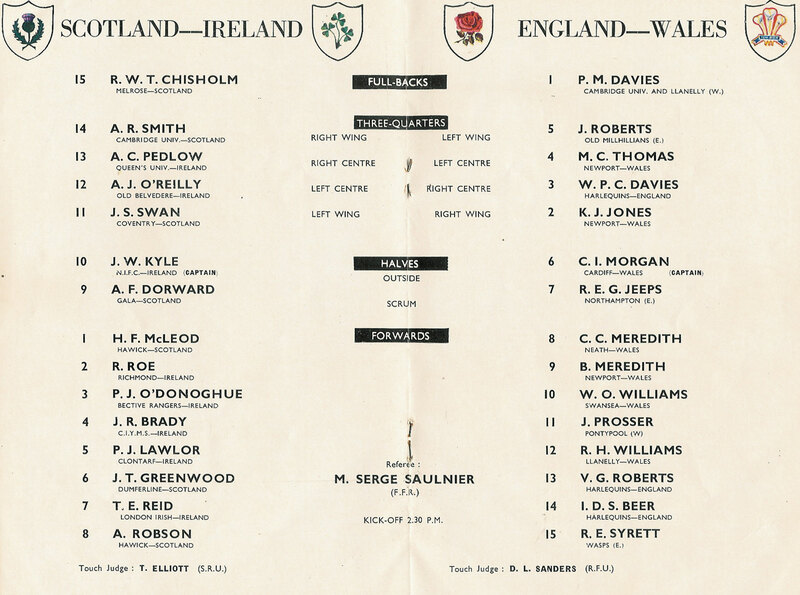 G. D. Owen (Newport, Wales); K. J. Jones (Newport, Wales), W. P. C. Davies (Harlequins, England), M. C. Thomas (Newport, Wales), J. Roberts (Old Millhillians, England); C. I. Morgan (Cardiff, Wales, Captain), R. E. G. Jeeps (Northampton, England); C. C. Meredith (Neath, Wales), B. V. Meredith (Newport, Wales), W. 0. 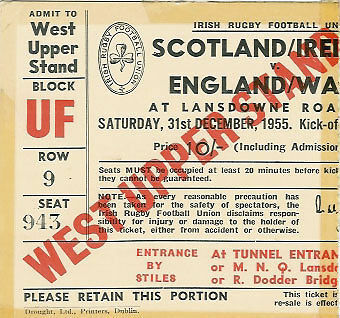 Williams (Swansea, Wales), T. R. Prosser (Pontypool, Wales), R. H. Williams (Llanelli, Wales), V. G. Roberts (Harlequins; England), I. D. S. Beer (Harlequins, England), R. E. Syrett (Wasps, England).